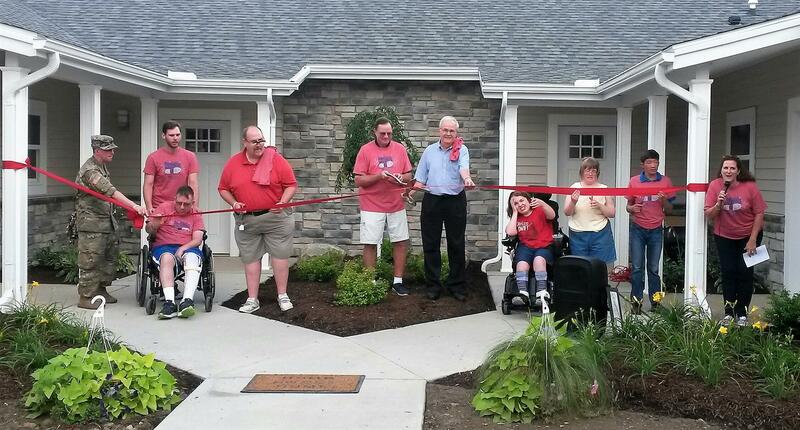 Heartfelt congratulations to Dianne DePasquale-Hagerty and her dedicated associates and Board of Directors at Medina Creative Housing at last night's Independence Walk, Flag Raising, and Ribbon Cutting Ceremony for the newest residents of Creative Living for Life. "This is our 'Independent Living Day'," declared Dianne, on behalf of the 8 new residents and their families. "We are grateful to all of you who have come here today to help us celebrate. Thank you for the continuing support of our caring community in Medina, the American Legion, Anderson Landscaping, the Hecky Group, Lubrizol, Tober Builders, Medina Township Police Department, Tom Borror, State Senator Larry Obhoff, State Representative Stephen Hambley, and Sergeant 1st Class Stephen Callahan from the Ohio Army National Guard, stationed at our Medina Armory.